A unique and charming Art Deco Palace located in the city center. Dating back to 1928 this property includes an original movie theatre, the ideal venue for events with a cultural feel. 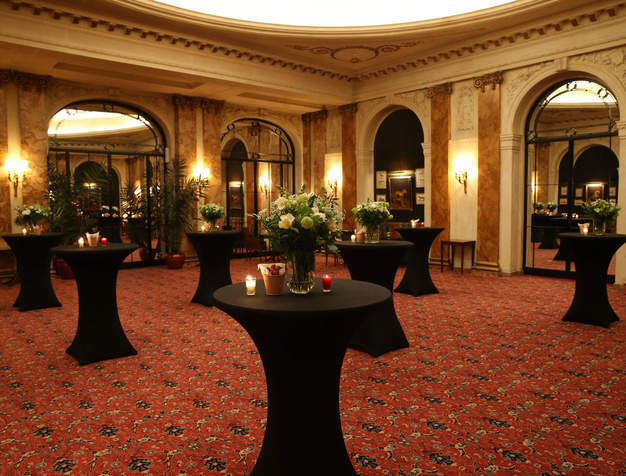 Le Plaza Brussels combines elegance, tradition and the comfort of premium modernity. 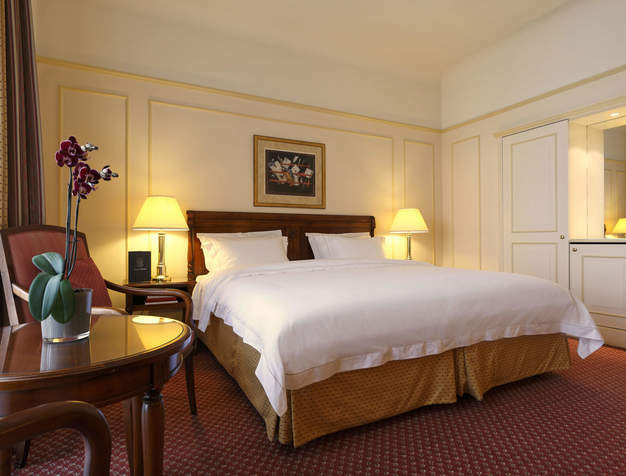 Located in the heart of Brussel's financial and cultural hub, the hotel is only a few minutes from the famous Grand Palace, the Royal Palace, and major congress centers. 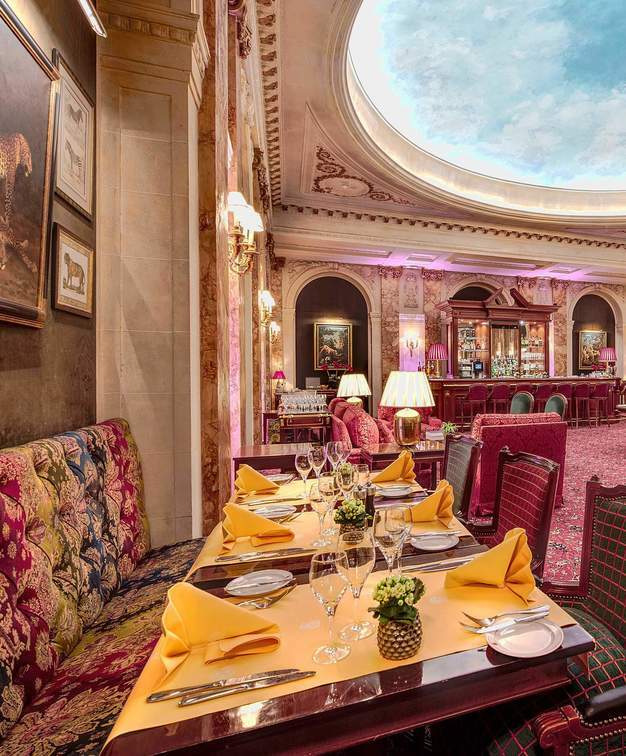 Refined furniture, magnificent ballrooms and the elegance of the neo-baroque décor inspired by the Spanish Renaissance, will captivate guests at first glance. A truly passionate team with more than 85 years of experience combining efficiency and friendliness is on hand to ensure an unforgettable stay. Decorated in refined stylish elegance, these spacious rooms deliver an instantly intimate and homely environment. "The room was beautiful, with a large bed. The staff were friendly and helpful. The breakfast was nice and the foyer and bar were breathtaking. Nice area in the centre of the city". 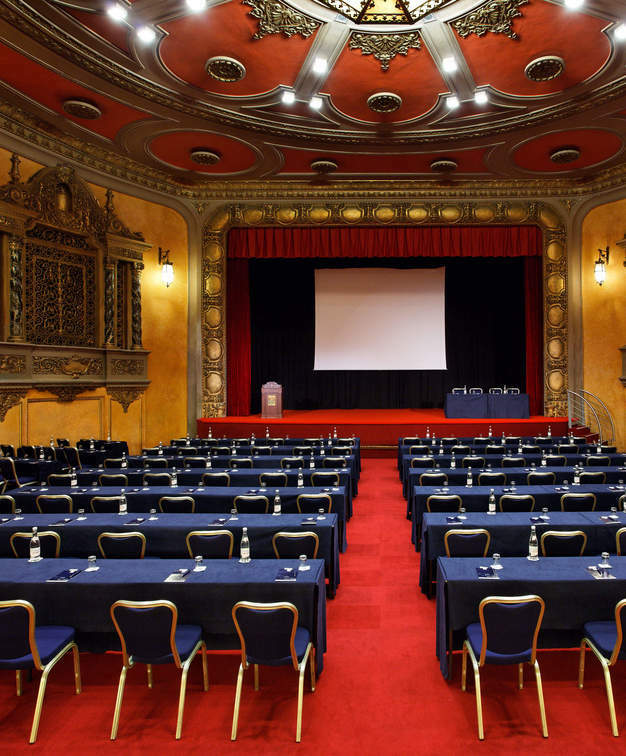 With a historical, unique and beautifully decorated movie theatre as its centerpiece, Le Plaza Brussels has an additional 10 flexible meeting rooms with a capacity to welcome up to 700 guests. Thanks to an attentive and personalized service, the Brussels restaurant is the perfect place for a business lunch as well as a candle-lit dinner. The cozy atmosphere and elegant décor make this a great place to discover original Belgian food. Remaining one of the finest luxury hotels in Europe to date, Le Plaza Brussels is conveniently close to some of the continent's best shopping areas. The knowledgeable and dedicated Concierge Team can guide guests through all of the city's must-sees and dos.